Rome is known as the Eternal City for its long history and, one hopes, equally long future. One of the most visited European capitals, and one of the most beloved cities in the world, Rome's iconic monuments and neighborhoods have become so familiar from generations of vacation photos and Hollywood films that it can seem that there is nothing new left to discover in this modern teeming metropolis resting on the remains of millennia of ancient teeming metropolises. Not to be confused with the Scavi of Saint Peter, located directly under the Basilica and containing what may be the original grave of Saint Peter, the Necropolis of Via Triumphalis is a nearby (beneath the Vatican gardens) but completely separate ancient Roman graveyard. Discovered in 1956 by chance during construction of the Vatican's underground parking garage, this vast burial site took over 50 years to excavate, during which time more than 1,000 graves from the four centuries between 100 BC and 300 AD were unearthed. The tombs and burial chambers are remarkably well-preserved, with mosaics, frescoes, and statues still in excellent condition. The Vatican Necropolis focuses on the lives (or, more accurately, deaths) of the Roman middle and lower classes, but the Domus Aurea - Emperor Nero's "Golden Palace" which he had built in the center of Rome in 64 AD following Rome's devastating fire - is all about the ruling class. This sprawling royal complex covered much of the Palatine and Coelian Hills, and included halls frescoed with elaborate scenes of mythical beasts, or decorated with semi-precious stones and gold leaf. Emperor Trajan later constructed his famous baths on top of the Domus Aurea, and the Colosseum occupies the site of a drained lake, once part of the extravagant grounds. During the Renaissance, artists including Michelangelo and Raphael would lower themselves into the Domus Aurea by ropes to study the use of perspective in the ancient frescoes (which we know from their names carved into the walls as graffiti proof of their visit). Just 10 kilometers outside of Rome, Castel Gandolfo has been the site of the papal summer residence since the 17th century, and for the past three centuries pontiffs have escaped the heat of the capital by retreating into their vast villa set high in the hills over Lake Albano, surrounded by a working farm (providing produce and eggs to the Holy Table), swimming pool (added by Pope John Paul II), ancient ruins of the Roman Emperor Domitian’s country villa dating from the 1st century AD, and 55 hectares of gardens. These gardens were opened to the public at the beginning of 2014 by the populist Pope Francis for the first time in history. Interesting for both gardeners who will be enchanted by the historic holm oaks and pretty parterres, and history buffs who will only have eyes for the archaeological remains, the tours explore the Villa Barberini section of the residence's large estate, which include the Giardino della Madonnina and the panoramic overlook of the Giardino del Belvedere, along with masonry ruins of Domitian’s sumptuous villa, which once rivaled Hadrian's in Tivoli. The gardens open their gates each Monday, Friday, and Saturday for a 90-minute guided tour (reservations must be made through the Vatican Museum website). 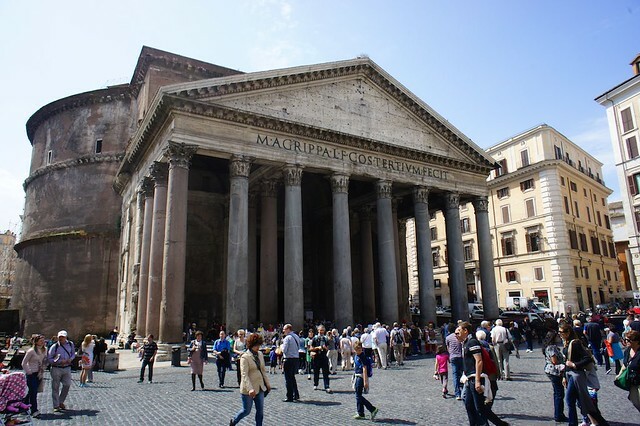 One of Rome's most beloved monuments has been mostly covered in scaffolding for a complete restoration, slated to be completed in fall of 2015. The work, including cleaning, waterproofing, and gilding, will cost over €2.12 million and has been funded by the Fendi fashion house. So what's new here? Along with scaffolding, the city has installed a pedestrian catwalk which is suspended over the drained fountain basin and passes much closer to the structure than the public can usually get, giving visitors a better look at the stone sculptures (and the restoration work going on below). If you'd like to take an up close gander at Salvi's Baroque masterpiece, now is the time to do it.